After Inmate With Schizophrenia Dies In Shower, Fla. Prosecutor Finds No Wrongdoing : The Two-Way Four years after Darren Rainey died in a prison shower, the Miami-Dade prosecutor decided against charging any officers. Since the 1960s, the mentally ill have increasingly been housed in prisons. A prisoner works on the lawn at the Dade Correctional Institution In 2014, in Florida City, Fla. On Friday, Miami-Dade prosecutor Katherine Fernandez Rundle found no wrongdoing in the death of mentally ill prisoner Darren Rainey, who was locked in a shower stall at the Dade Correctional Institution in June 2012. He died after he was left unattended for two hours with the water running. Four years after Darren Rainey died at the Dade Correctional Institution, the state's investigation found that the corrections officers who locked Rainey in the shower committed no crime. Miami-Dade prosecutor Katherine Fernandez Rundle opted not to charge any of the officers, finding that "the evidence does not show that Rainey's well-being was grossly disregarded by the correctional staff." The state's medical examiner, Dr. Emma Lew, found that Rainey's death was an accident resulting from his schizophrenia, heart disease and being confined in the shower. "It is not substantiated that temperatures inside the shower room were excessively high," she wrote. But the investigation's findings are disputed. As The Associated Press reports, several witnesses said that Rainey's skin appeared to be "peeled back" and reddish in spots, with one inmate claiming that Rainey looked like "a boiled lobster." "Witnesses, including a nurse on duty that night, and several inmates interviewed by the Herald over the past two years, have said that two corrections officers, Cornelius Thompson and Roland Clark, forced Rainey into an enclosed, locked shower stall and that the water had been cranked as high as 180 degrees from a neighboring room, where the heat controls were. ... Rainey screamed in terror and begged to be let out for more than an hour until he collapsed and died, witnesses told the Herald. Some of the officers taunted and laughed at him, some inmates who were in the unit at the time of his death said." Sloughing, he said, is 'hot water trauma' that can only be caused by prolonged exposure to elevated water temperature. If pieces of Rainey's skin peeled off simply from his being exposed to a lengthy shower spray, Baden said, then anyone who ever takes a long bath would find their skin peeling off their body." Baden also questioned why it took more than three years for the state's autopsy report to be completed. Rainey was four months into a two-year sentence on a cocaine charge when he died. He was being housed in the prison's Transitional Care unit, for the mentally ill. In 2014 and 2015, the Herald published an investigative series on deadly abuse in Florida's prisons; the paper's reporting eventually led to a settlement between the Florida Department of Corrections and a statewide disability advocacy group, requiring the state to improve the way it treats inmates at Dade Correctional Institution, where Rainey died. A study by Governing magazine found that Florida ranked 49 of 51 in mental health expenditures per capita in 2010. 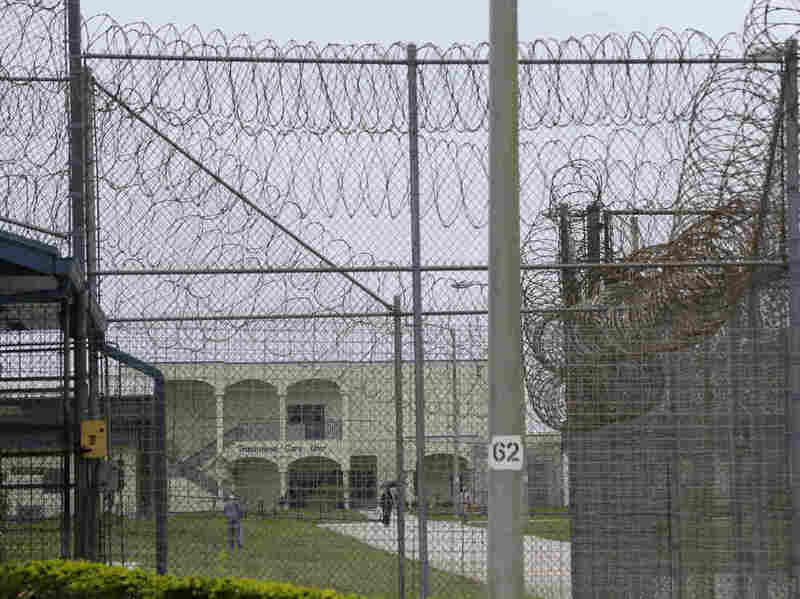 A 2016 article in The New Yorker about the dangerous conditions for the mentally ill inside Florida's prisons notes that by the 1990s, "prisons had become America's dominant mental-health institutions. ... [B]etween 1996 and 2014, the number of Florida prisoners with mental disabilities grew by a hundred and fifty-three per cent." A major policy shift known as deinstitutionalization began in 1955, alongside the creation of the first effective antipsychotic medication, chlorpromazine. Deinstitutionalization is the policy of moving mentally ill people out of state mental hospitals and then closing those institutions. State mental hospitals were costly and unpopular; the development of new psychiatric drugs seemed poised to revolutionize treatment of the mentally ill. In 1963, Congress passed legislation called The Community Health Centers Act. "The legislation sought to create a nationwide network of locally based mental health centers which, rather than large state hospitals, would be the main source of treatment," as the The New York Times explained two decades later. The Times wrote about the compounding problems that resulted from this policy, and the climate that led to its creation. [The] architects of the community centers legislation believed that while there was a risk of homelessness, that it would not happen if Federal, state, local and private financial support 'was sufficient' to do the job." The passage of Medicaid and Medicare in 1965 gave states incentives to move patients from state mental hospitals and into nursing homes and the psychiatric wings of general hospitals that received federal funding, writes Columbia University law professor Bernard Harcourt. Changing social perceptions had also turned against mental institutions. "With the political backdrop of the civil liberties movement, advocates for the mentally ill viewed institutionalized care not as an asylum to protect the mentally ill, but as an intrusion on the liberty and autonomy of the mentally ill, and they sought legal reforms restricting involuntary psychiatric treatment," argues Harcourt. This combination of factors — a belief that new drugs would reduce the number of mentally ill people, financial incentives for state hospitals to close, and increasing discomfort with committing people to mental institutions — gave rise in the 1950s and '60s to our eventual status quo, where it's common for the mentally ill to be imprisoned or homeless. And as the Herald's investigations made clear, prisons can be very dangerous places for the mentally ill.